A new account must be created for the 2018-2019 application year. You do not need to submit a paper copy of your report card. 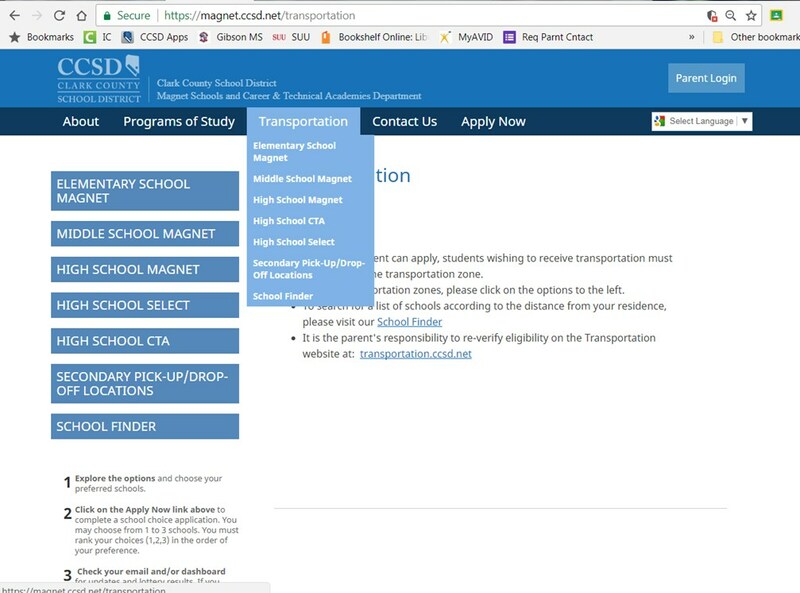 Students must apply for Magnet, CTA, and Select Schools on the same application. If selected, you will need the login and password to log back in and accept the seat. NOTE: Transportation (Bussing) is only available from certain schools located in students magnet zone. It is important to attend OPEN HOUSES to see which schools are the best fit. The 1st Semester Report Card from 8th grade is used to qualify for the lottery. * Las Vegas Academy and Del Sol Academy require auditions﻿. If you do not meet these qualifications, consider applying for a Select School. Complete this WORKSHEET in order to gather all of the information necessary to apply on-line. Under Please select a program: Select CTA and Select Magnet (w/ Phase Out) for list of all schools. Final transportation is not set until August 2018. A student must complete Request Form and submit to Ms. Paterson for pre-approval at least 3 days BEFORE participating in any Shadow Days. 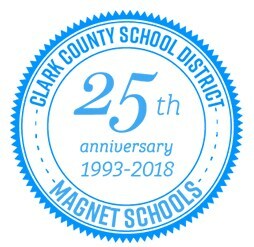 Students must contact Magnet/CTA High School to make arrangements. Students who do not have preapproval on Gibson Shadow Form may not have the absence excused. Shadow forms issued from high schools will not be accepted or approved.